I ripped a recipe out of a Bon Appetite a few months ago as inspiration for this recipe. Does anyone else ever do this? I learned once that when you're reading a magazine you should just rip out the pages you want to save instead of saving the whole magazine. Do you know how many times I've had to control my ripping tendency in a dentist or doctors office. How about the Landrover dealership! That would be totally tacky there:) I have a 3 ring binder BURSTING at the seams with magazine pages, handwritten scraps of paper, and dripped on recipes from my mom. It barely fits into the drawer it's in. If my house ever caught fire this binder would be one of my treasures I would rescue. (After Jane of course!) The original recipe I "ripped" was a Cherry Almond Focaccia Bread made with a master sweet dough. It got me thinking. We love Onion and Cheese Focacia at our house. Why wouldn't we love a sweet version. It's not dessert type sweet, but the perfect sweetness to serve along side a lovely summer salad. Maybe an Everything Salad with blue cheese, and fresh blueberries, and pears. Yummy perfection! Something about berries when they're cooked. They just turn into deliciousness! We loved watching the blueberries as they burst in the oven. 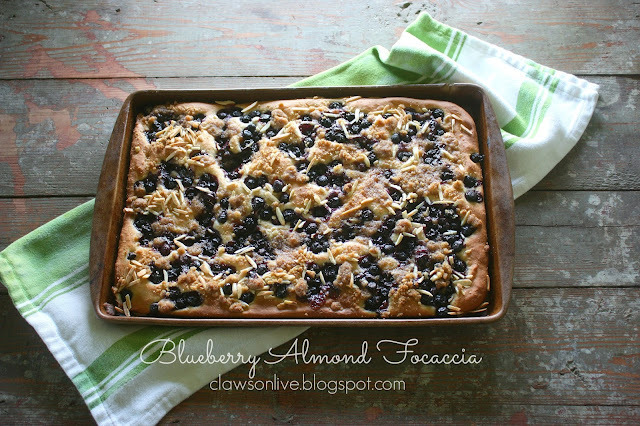 If you love blueberry pancakes, then this focaccia is definitely for you! I didn't use the original Sweet Dough that the magazine suggested. 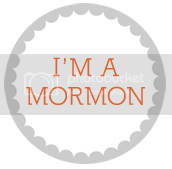 To time consuming for me. I just used my favorite breadstick recipe. It worked perfectly! It's one of those recipes I don't even have to think about. I have it memorized, and can whip up a batch in no time at all. Technically you can top the focaccia with anything you'd like. Cheese and onions, garlic and rosemary, pears and blue cheese, olives and salt. Whatever you want! I think I will try this! Sounds great!